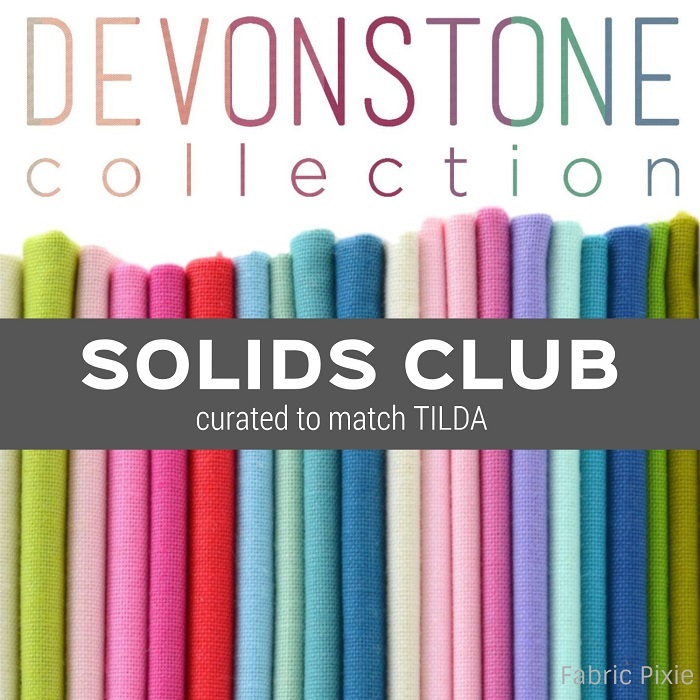 Introducing the beautiful range of solid fabrics by Devonstone Collection - designed specifically to co-ordinate with the Tilda fabric collections. Made on the same basecloth as Tilda fabrics the Devonstone solids are double shrunk and double finished and are the prefect companions for the astute Tilda lover. There are currently 45 solid colours in the range and this club is a great way to see for yourself how lovely they are. As part of this club you will also receive a FREE Colour Swatch Chart that details all of the colours and names to make it easy for you to reference. This invaluable colour chart will allow you to colour match in your own home and give you piece of mind to order your solids online. We stock the full range of the Devonstone Collection at all times. The Fat Quarter Club runs for 5 months and the Half Metre Club runs for 9 months, by purchasing the first month you agree to sign up for the term of your chosen program. For the subsequent months we will issue an invoice which can be paid by VISA/Mastercard or Paypal, we can also create an automatic schedule for your payment, please ask us to set this up for you if preferred.